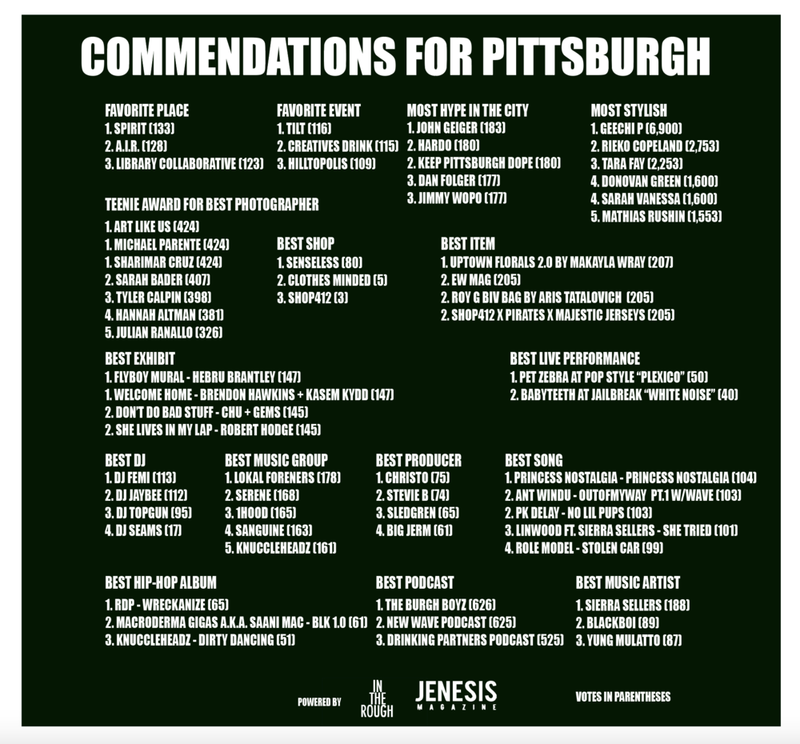 While the nominees and winners of the Commendations receive praise from intheroughstyle.com, those who attended the Review Party at Senseless on January 12 also received a physical award. Geechi P attended the event to receive his Most Stylish Commendation. Art Like Us walked away with the "Teenie" Award for Best photographer, and the Lokal Foreners accepted the award for Best Music Artist on behalf of the late Yung Mulatto. Additionally, DJ Femi braved the severe ice storm and proudly took home Best DJ. By the time the Review Party had ended, Senseless placed their Commendation for Best Shop on their top shelf. It was fitting to have Art Like Us photograph pieces of the night after his second ‘best photographer’ award for 2017.